Vibram’s playing it low key, I guess, but the long awaited Bikila seems finally to be hitting the market. So far you’ll still find nothing on the Vibram site. But Birthday Shoes (a site dedicated to Vibram Five Fingers, but not associated with Vibram) reports that City Sports in Boston got a small shipment yesterday. According the a comment from a guy who’d just bought a pair and taken them for a short run, “They are definitely a step closer to a traditional shoe than any other VFFs.” He describes that the soles are stiffer and thicker than other VFFs. Though I’m not completely put off, I was hoping this would not be the case; my complaint about my Flows is the lack of toe flex. Still all very exciting. 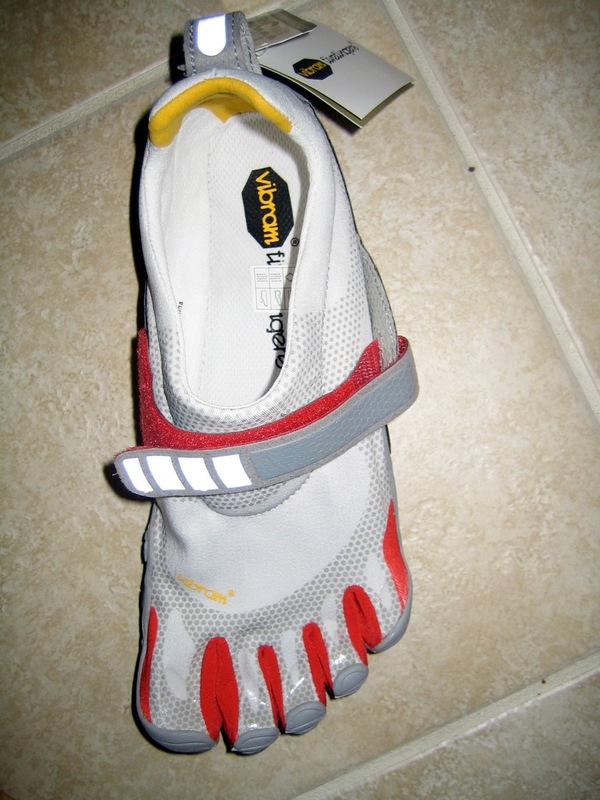 This entry was posted on April 16, 2010 at 8:36 am and is filed under Barefoot Running, Other Runners. You can subscribe via RSS 2.0 feed to this post's comments. My brother-in-law mentioned a while ago that he wants to get a red pair. (I felt pretty intelligent for knowing what he was talking about–thanks to you) He doesn’t run at all. He just thinks it will look cool.